If you ever catch a glimpse of students practicing the rhumba on campus, it’s probably not for So You Think You Can Dance? 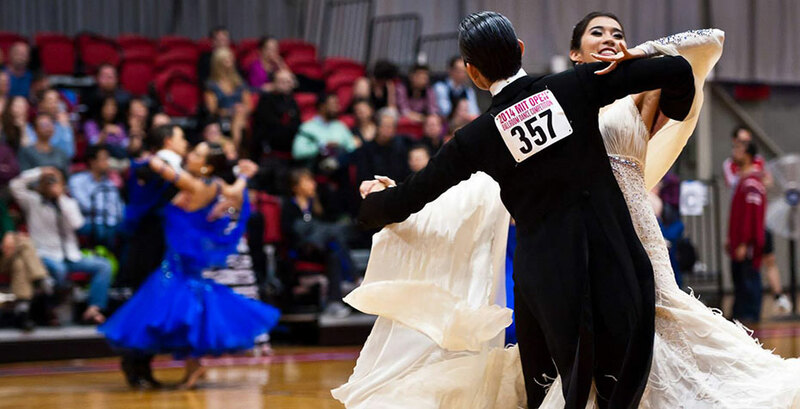 Instead, you’ve likely seen the all-star members of the MIT-Wellesley Ballroom Dance Team (MITBDT), which celebrates its 40th anniversary this week. As an MIT blog post describes, the origins of the dance team date back to 1974 when a small group of MIT and Wellesley students joined together to dance a few times a week. The group expanded until it became a full-fledged competitive ballroom team, with a full of host of dancing styles, award-winning coaches, and long practices throughout the week. Wellesley's Clio Flikkema '17 (in blue dress in photo) will serve as the organization's co-president for the coming academic year. All affiliated community members who are interested are welcome to join; most new members are learning salsa, the foxtrot, or the waltz for the first time. It’s hard work, but with dozens of successful competitions, new friends, and many memories, dancers say it’s an unforgettable experience.